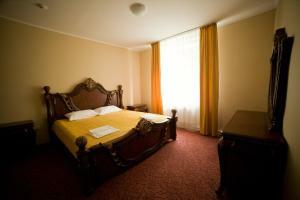 A-HOTEL.com - Luxury and cheap accommodation in Kurort Chemal, Russia. Prices and hotel, apartment booking in Kurort Chemal and surrounding. This indicative offer was derived from the most recently booked accommodation in Kurort Chemal and sort by the price, from cheapest Kurort Chemal accommodation to the most expensive hotels. To select accommodation by your preferences we recommend to choose from 5 accommodation offers in Kurort Chemal in total. By entering the dates of your overnight stay in Kurort Chemal and using the filter tools you can sort the best possible accommodation for you. The entered dates of your stay are crucial for the most accurate offer as it derives all the online information on pricing and availability of Kurort Chemal accommodation. Then you can book the selected Kurort Chemal lodging (hotels, apartments etc.) immediately. Гостевой домик is set in Kurort Chemal and offers a private beach area, a garden and a terrace. Free WiFi is featured. Featuring barbecue facilities, Camping Zakutok provides accommodation in Kurort Chemal. A terrace with mountain views is offered in all units. Синегорье is offering accommodation in Kurort Chemal. Offering a restaurant, the property also has a seasonal outdoor swimming pool. Усадьба Виталича is located in Kurort Chemal and offers barbecue facilities and a garden. Guests staying at this homestay have access to a fully equipped kitchen. Facing the beachfront in Chemal, Guest House Sosnovaya Blagost has a seasonal outdoor swimming pool. Featuring a 24-hour front desk, this property also provides guests with a children's playground. Manor Altyn Torbok has a seasonal outdoor swimming pool, terrace and shared lounge in Chemal. Boasting a shared kitchen, this property also provides guests with a children's playground. 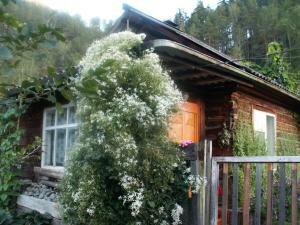 Usadba tri Medvedja in Chemal provides accommodation with ski-to-door access and a garden. The property has a terrace, as well as a shared lounge. Located in Chemal, Usadba U Grishaevykh offers a garden. Featuring a shared kitchen, this property also provides guests with a children's playground. Located in the resort mountain area of Chemal, Maryin Ostrov Eco Resort offers a full-board accommodation with an outdoor swimming pool, children's playground, football and volleyball fields. Free WiFi is available. Located in Chemal, Usadba na Altayskoy offers free WiFi. Boasting a shared kitchen, this property also provides guests with a barbecue. Set in a quiet area surrounded by mountains and forests, Usadba Royal Comfort is set in Chemal, close to the banks of Katun river. It features a seasonal outdoor pool, a restaurant, and bicycle rental. Guesthouse V Sosnovom Boru provides accommodation in Chemal. Both private parking and free WiFi are accessible at this property. Guest house 7 Pyatnits features rooms in Chemal. Featuring a 24-hour front desk, this property also provides guests with a barbecue. Guest House Evdokimovykh features a seasonal outdoor swimming pool, BBQ facilities and terrace in Chemal. Featuring a shared lounge, this property also provides guests with a restaurant.